Entrepreneurs are rapidly rolling out bold new online media designs that are changing our perception of how content publishers and platforms should look and operate (see Medium, Branch, and Devour). Instead of sites designed solely to maximize page views, we are now seeing an influx of publishers that incorporate content streams, grids and galleries to produce a more fluid, less interruptive content discovery experience. This design evolution has also led to a new approach in monetization, where sites are now being designed from the ground up to integrate native advertising formats, rather than the traditional display ad placements. For those unfamiliar with the term ‘native advertising,’ it is defined as ad strategies that allow brands to promote their content into the endemic experience of a site in a non-interruptive, integrated way (see the native ad market breakdown here). Dominant social media and content discovery platforms including Facebook, Twitter, StumbleUpon and Tumblr have all chosen not to employ traditional display or interruptive ads and instead incorporate native ads to drive revenue. The next generation of publisher entrepreneurs have taken notice of this shift and are thinking hard about how they can also build advertising formats that can be as native to their sites as Promoted Tweets are to Twitter or Paid Discovery is to StumbleUpon. In closed native advertising systems like Facebook and Twitter, brands can create and promote customized content within the platform itself; however, that content cannot exist outside of the confines of that same platform. A closed native advertising system is a great way to increase the stickiness of a publisher’s site, as brands have to create their own profiles and content within the platform, such as Facebook’s Promoted Posts. For publishers that are in their early stages, it makes sense to utilize an open native advertising model to quickly plug in brand content to native placements and use those performance insights to inform them on whether it makes sense to build out their own closed system. Open native advertising allows brands to use a single piece of brand content across multiple campaigns, which cuts down on their expenses and implementation time. 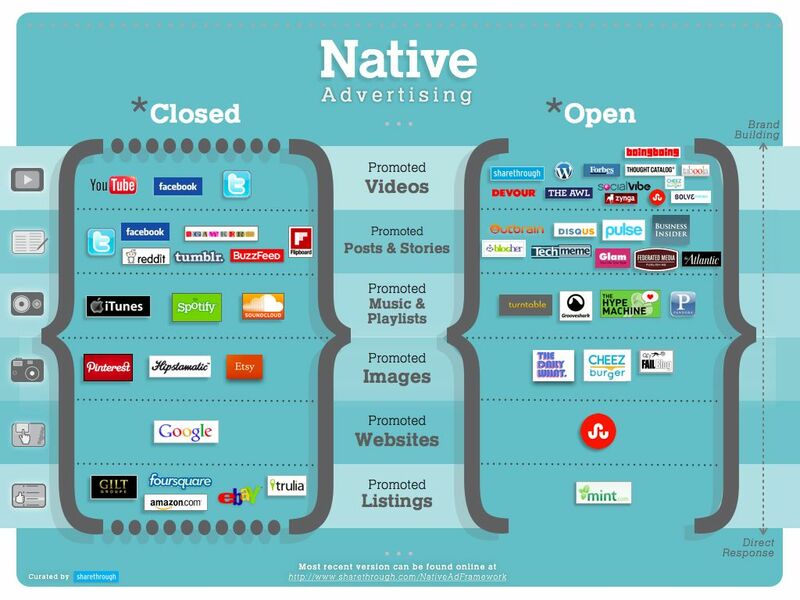 Examples of open native advertising platforms include Outbrain and Disqus for recommended content widgets and Sharethrough for sponsored videos. Brand content units are integrated within a content or social feed. Twitter’s Promoted Tweets are a great example of an in-feed native ad unit that drive high rates of engagement (from 1-3% on average) and work fluidly across desktop or mobile. Branded content goes into individual gallery units that are both highly visual and offer room for a brief amount of copy. Before they’ve even rolled out the anticipated ‘Promoted Pins’ unit on Pinterest, marketers have flocked to Pinterest to promote new products and reap the rewards of their hefty referral traffic. 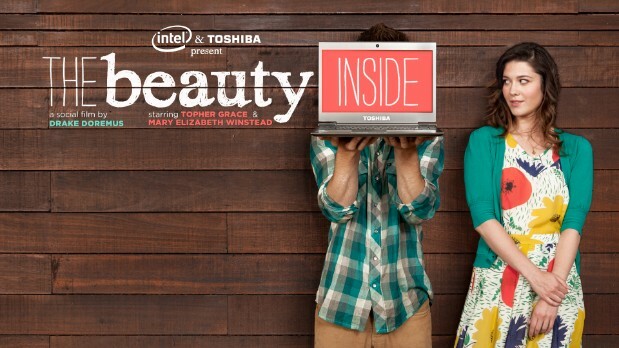 Branded content is promoted within grid units that are primarily image-based with limited space for accompanying text. 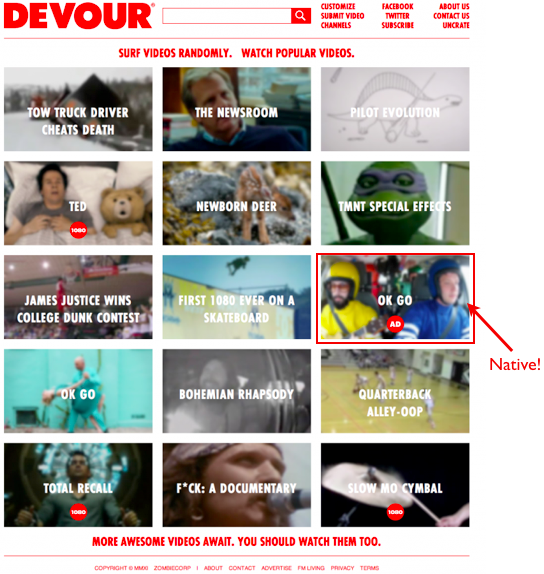 Devour’s homepage exemplifies a curated grid layout with a well-integrated native ad placement. Recent content includes a 6 episode social short film called “The Beauty Inside”, to a screenwriting contest with Roman Coppola, to a series on world-renowned DJ Tiesto. Recent branded content includes an 8-minute documentary on fans who take their favorite teams to the grave. No brand takes publishing more seriously than Amex. Check out their digital publishing platform Open Forum which aims to produce content to aid the growth of small businesses. Advertisers are moving beyond simple click-through-rates (CTR) and looking for new ways to measure depth of engagement and the impact of sharing. While building out an entire analytics dashboard is a tall task for a fledgling publisher, platforms like Moat can be utilized to track advanced metrics like viewable impressions, in-view time, interaction time, interaction rate, a heat-map-like hover rate, attention quality, and time to scroll. 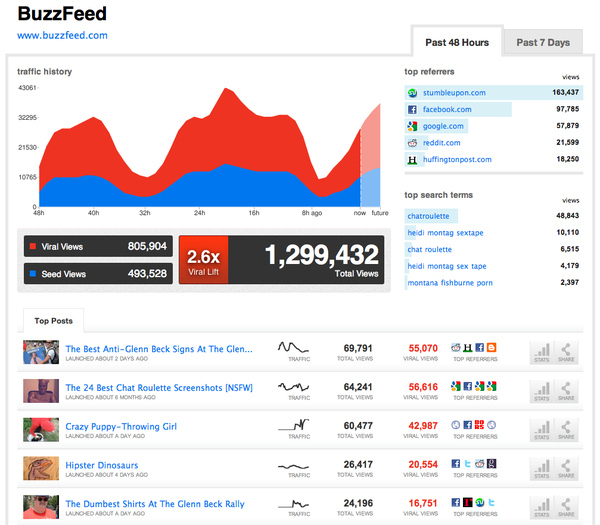 For publishers that want to create their own social analytics dashboards, check out Buzzfeed’s Viral Dashboard, which provides data on the viral lift for each of their posts.